New York City is on fire right now. At least, that's how everybody is acting. It's about 95 degrees, but feels like 105. It's humid. The sun is blazing. But I confess that...I don't hate it! I'm one of those crazy people that loves the sun and the heat. Humidity feels good on my skin (horrible for my hair, but I just throw it in a bun and it's all good) and the heat is delicious. I mean, I'm not about to run around the block in this, but I'd never do that anyway. But I will happily sit in the sun wearing a pretty breezy dress and holding a glass of something icy. 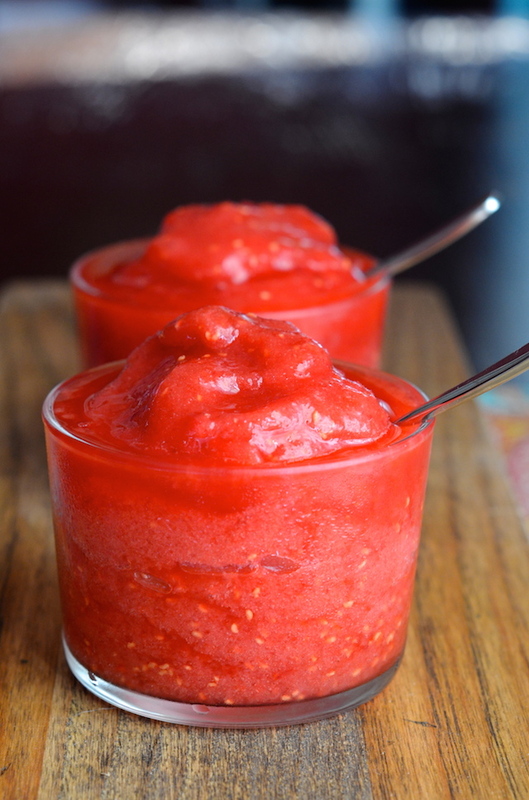 Something like this Raspberry Rosé Wine Slushie. Rosé is one of my summer favorites, and adding frozen fruit and ice to it and whirling it up into a gorgeous frozen cocktail just makes it all that much more amazing. This is a simple drink that's a lot of fun and always a crowd pleaser. Whirl one up in your blender today and stay cool! Inspired? 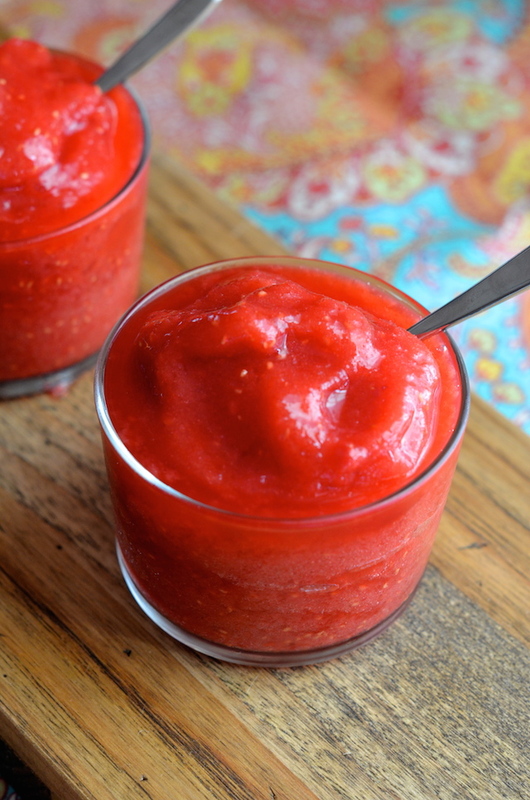 Check out my Boozy Frozen Peach Sangria Slushie recipe, too! Combine all ingredients in a blender and process until very smooth and slushy. Serve immediately.